Nathan Holman has started his international campaign with a top-10 finish at the Scottish Open Stroke Play Championship at Southerness. Holman fired rounds of 71-71-71-74 to finish in a tie for 7th position at 11-over after heading into the final day in a tie for 4th. 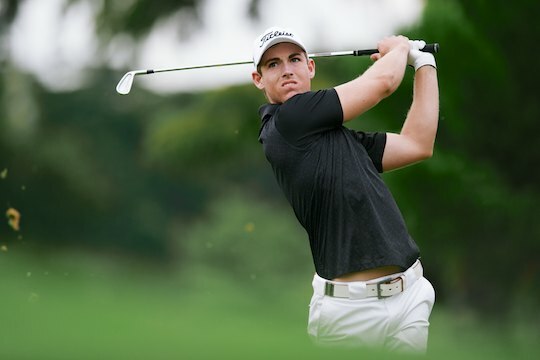 This is Holman’s fourth international tour and his top-10 finish is an excellent result for the four-time winner on the main Australian amateur circuit and sees his world ranking move to 70th. Holman is still outside the desired top-50 which gains automatic entry into the US Amateur Championship to be held in August, yet with a number of main events scheduled including the British Amateur and St Andrews Links Trophy before the June 26 deadline for entries into the US Amateur, Holman is hoping to prevent pre-qualification. Like most of the Aussies, Holman is aiming for solid results in the UK events which attract much higher status points due to the depth of the fields than in Australian events – Australian Master of the Amateurs the exception – to improve their world ranking status. Garrick Porteous became the third Englishman in the last five years to claim the championship, winning by four strokes with a 1-over-par total from Dermot McElroy. Dale Brandt-Richards was the next best Australian finishing in a tie for 22nd at 18-over, whilst the leading world-ranked amateur in the field at number 2, Brady Watt, struggled finishing at 23-over-par and in 38th position. Todd Sinnott, Viraat Badhwar, Geoff Drakeford, Callan O’Reilly and Ruben Sonjaja all missed the cut in what generally was a disappointing start for the Australians in their first international hit out of the season.